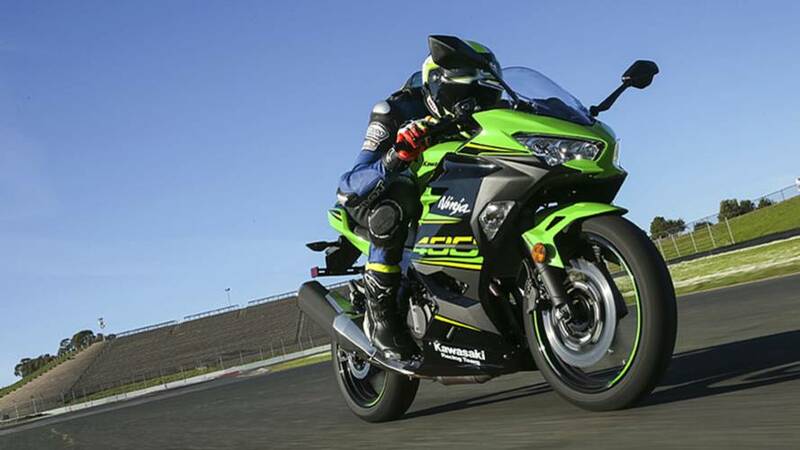 Kawasaki essentially invented the small-displacement sportbike class. 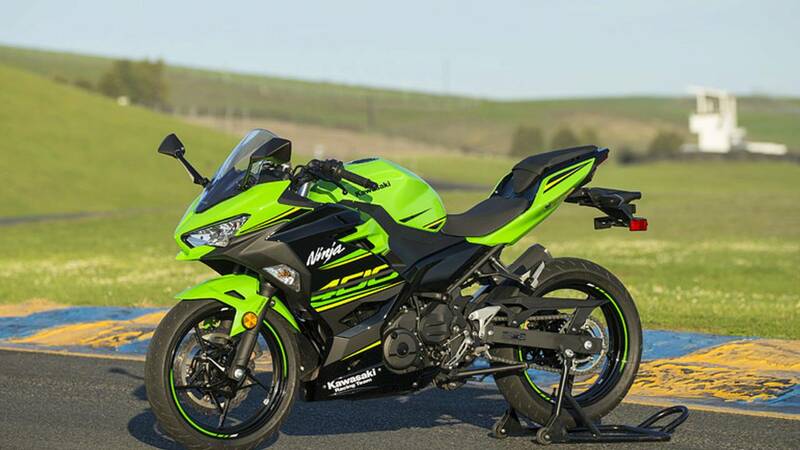 Now it further pushes the displacement boundary in the hotly contested segment, with its all-new Ninja 400. Powered by an overhauled 399cc Parallel-Twin and wrapped in trim, racy bodywork, Team Green has full intention of reclaiming the No.1 spot in the small-displacement track weapon arms race. To prove it, they invited us for a two-day ride which took us on the winding roads of Sonoma County and wrapped up at the twists and turns of Sonoma Raceway. Starting with the engine, the new baby Ninja's engine is not only larger, it’s an entirely new design from the inside out. New riders will continue to appreciate a friendly power band that progressively gains steam with revs. As expected, power through the middle and top of the rev range is more peppy, and dare we say, a bit exciting! This adds versatility and lets it cruise competently at freeway speeds. Engine vibration creeps through the controls north of 7,000 rpm, but considering the Ninja 400's bargain basement price of $4,999 we won’t deem this a knock. Our colleagues at motorcycle.com recently spun the new Kawasaki on a Dynojet 250i where it put down 44 horsepower and 25 lb-ft of torque at the rear wheel. The digital fuel-injection provides clean, accurate throttle response that’s neither too aggressive, nor too mild—a benefit for all riders. Adjustable engine power modes and traction control are absent but we never missed these features. Hooray, an entry-level Ninja that can actually wheelie! 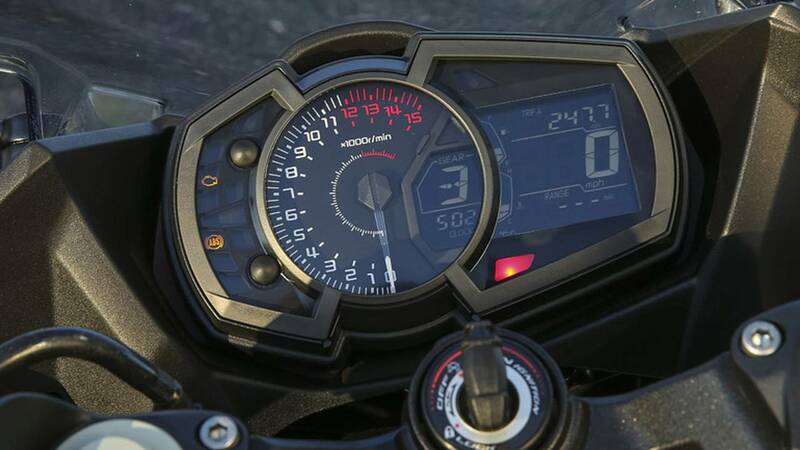 The Ninja 400’s instrument display is high-quality and full of information. It’s also easy to read while riding. The neatly integrated negative-lit LCD instrument panel (white numbers on black background) is easy to read, even during the sun’s high noon rays. It comes complete with all the goodies you expect in a modern motorcycle IP, including speed and fuel economy. A swept-face tachometer is front and center and includes a gear position indicator that comes in extremely handy for both newbies and veteran riders. 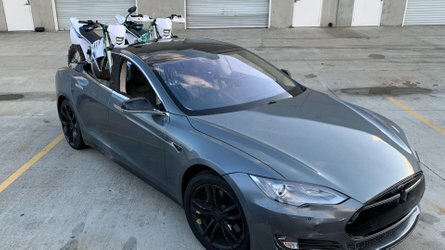 During our speedy 100-mile street ride, the on-board computer registered around 49 miles per gallon, a range of around 181 miles based on the 3.7-gallon capacity of the gas tank. 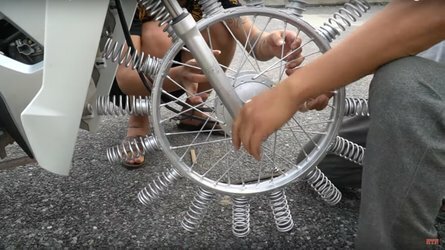 The six-speed manual gearbox gives positive shifts, so you know when you’re making a gear change, and riders with modest hand strength will appreciate the clutch’s easier one-finger squeeze. 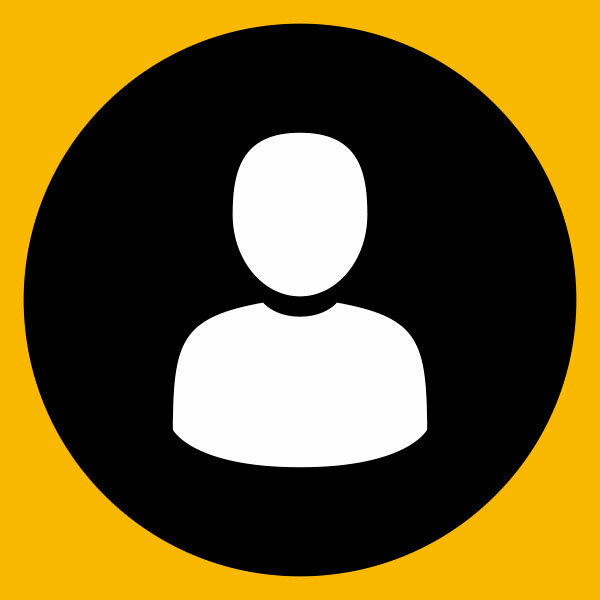 On the other hand, its action feels a tad dainty for more experienced folks. 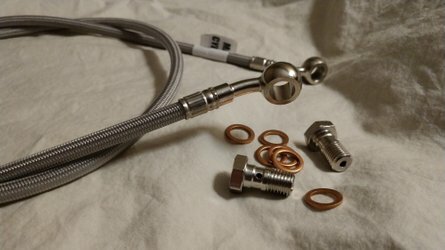 Regardless, it works well. Another benefit that all should appreciate is the slipper/back-torque limiting function that inhibits rear wheel instability. The liquid-cooled twin sits in a fresh steel-trellis frame equipped with a new swingarm. The bike's wheelbase is nearly inch-shorter than the 300's for added maneuverability— a trait that the previous Ninja 300 certainly didn’t lack. A thicker fork along with a larger, 310mm rotor round out the list of chassis improvements. All told, the Ninja 400 is 17.7-pounds lighter than its predecessor, with a fully fueled claimed curb weight of 366 pounds. The ergonomics were tweaked a bit—the clip-ons moved rearward along with the rider’s foot controls. Seated at the helm, the Ninja remains in the smaller street bike spectrum—especially with its low 30.9 in seat height (unchanged from the 300). However, its cockpit is more aptly proportioned and will be appreciated by tall and short folks alike. 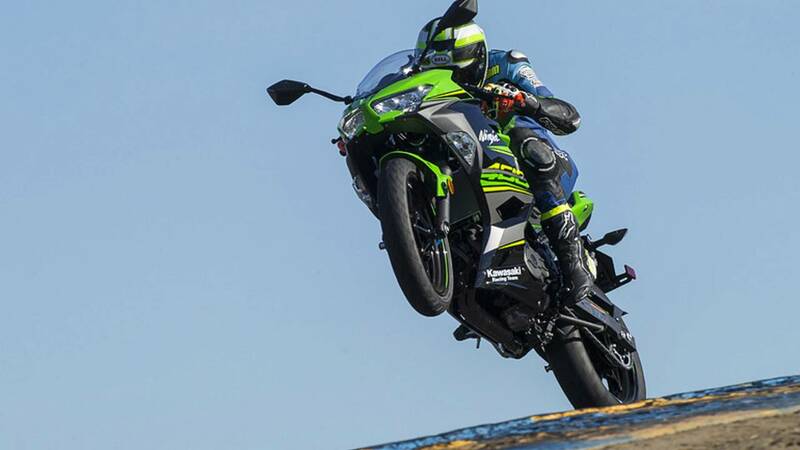 Whether on the road or the track, the Ninja proved a capable platform. Although we never recall the 300 lacking any maneuverability, we were surprised by how much sharper the 400 steers. This was especially noticeable through sweeping low-to-medium speed bends. The improved turning breeds confidence, allowing you to place the Ninja exactly where your eyes desire. Stability and road holding during fast paced rides was a noticeable improvement thanks to the stiffer frame's unwillingness to flex. This was especially apparent at the circuit. 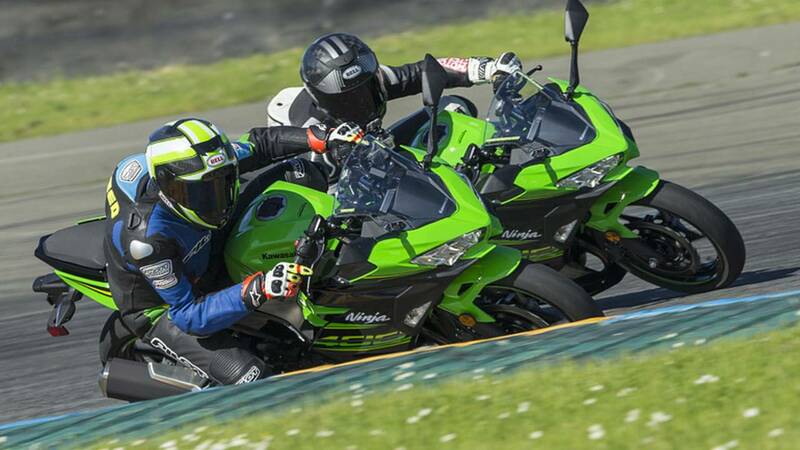 We never consider the Ninja 300 to be a slug, but the 400 offers even more nimble, and accurate handling. The bike's suspension is rather limited, with adjustment reduced to preload only at the rear. While it's still soft for us heavy 180-pound fellas, we wouldn’t deem it a limiting factor when it comes to fun both on the road or track. You’ll certainly feel some jolts when rolling over beat up pavement on the way to work or school, though. Sporty, five-spoke cast alloy wheels are shod with Dunlop Sportmax GPR-300 tires. The rubber is a nice upgrade from the IRC Road Winners, and they offer comparable grip with elevated road feel. Despite some niggling flaws, the new Ninja handled the twisties pretty well, and thanks to its respectable ground clearance we rarely touched foot peg feelers to pavement during aggressive riding. Our flashy up-spec KRT-edition test bike was outfitted with always-on ABS, and we came away pleased with its above average calibration. 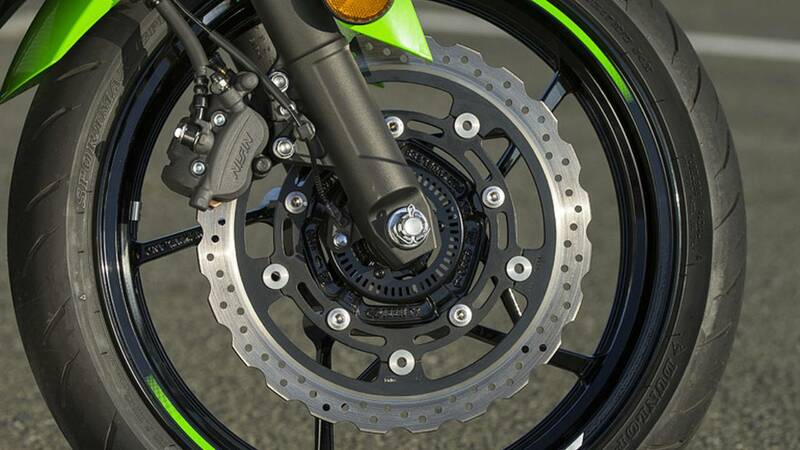 The ABS makes the most of the hardware's braking power without having to worry about skids, regardless of surface conditions or lever/pedal pressure. We enjoy the front brake’s more substantial feel when squeezed, it gives the 400 a big bike type of feel. One gripe though, the lever doesn’t offer position adjustment. To be fair, the fixed position was ideal for our medium-sized hand, but those with larger hands may think otherwise. 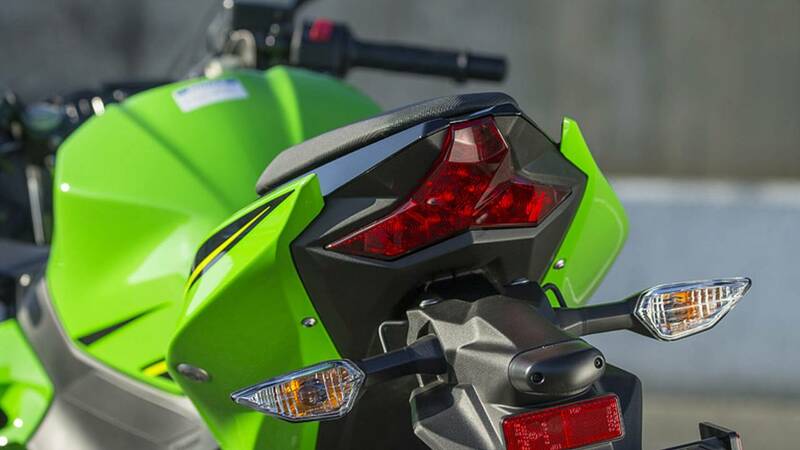 The 2018 Kawasaki Ninja 400 gets LED lighting front and back— impressive for an $5000 motorcycle. 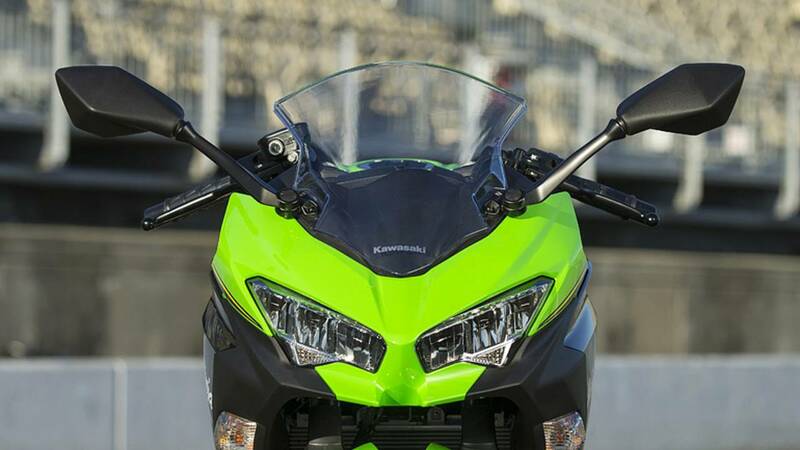 Styling-wise the Ninja 400 has a lot in common with the rest of the Kawasaki sport family. We’re especially fond of the H2-inspired tail and the LED headlamps and tail light. Although we didn’t ride at night, we rode through a dark, tree-canopied stretch of road and could see the headlight’s light stream a few bike length ahead. 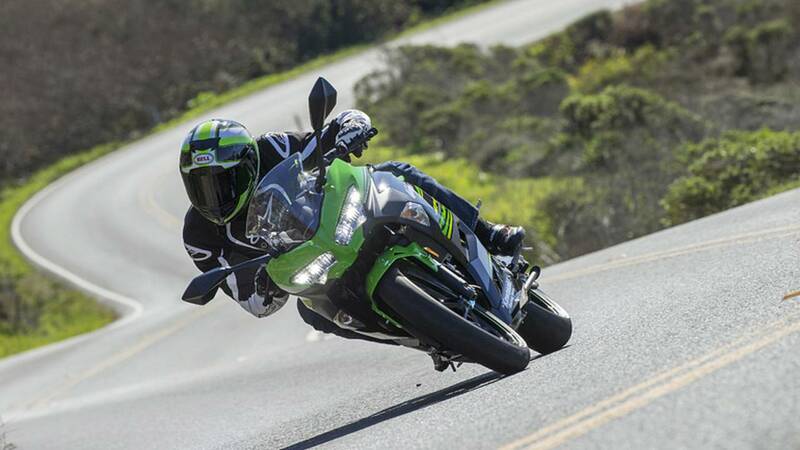 The Ninja 400 is a would-be sport rider’s dream come true. Lighter and more powerful than its predecessor, the new machine adds a layer of versatility that’s often missing in the entry-level sportbike class. 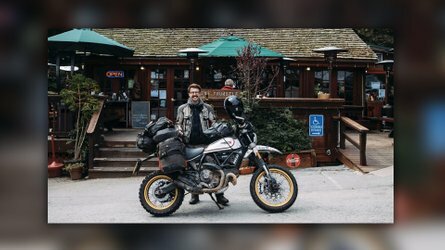 It’s a low-risk way to test the waters of motorcycling while offering enough satisfaction for owner’s as they build their sport riding resume. 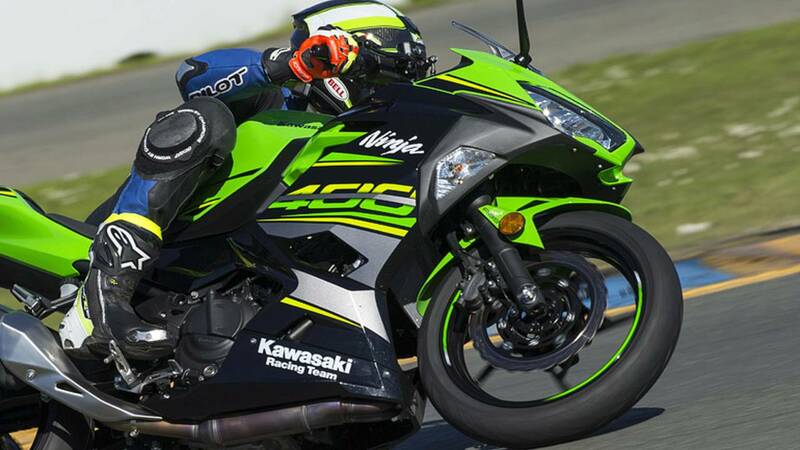 Kawasaki’s offering over $500,000 in US race contingency for those who want to speed things up at the track. Physical build: Too hefty for a Ninja 400 but it loves me regardless.